Community residents who are interested in a career in electrical distribution technology are invited to attend a free networking and informational program on April 5 in Pittsburgh. Duquesne Light’s Electrical Distribution Technology training program is offered in partnership with the Community College of Allegheny County. The program helps train participants for skilled labor positions, such as lineworkers and underground splicers. The informational program will be held on Thursday at 5 p.m. at the Westin Hotel, located at 1000 Penn Avenue in downtown Pittsburgh. The deadline to apply for the training program is April 30. 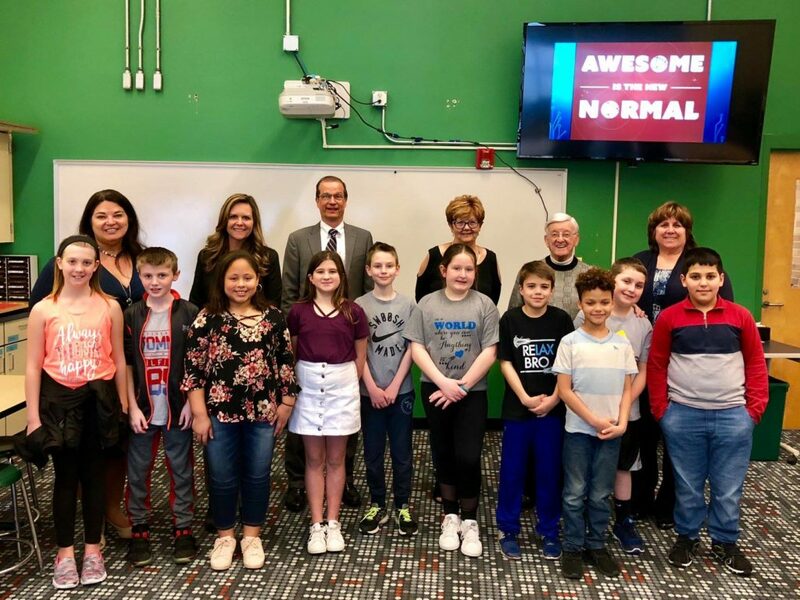 Thank you to Superintendent Michael Daniels, Principal Michelle Tomicek, and the faculty and students of South Central Elementary School in the Canon McMillan School District for inviting me to visit. I had a wonderful time learning more about the incredible “Code to the Future” program, an immersive computer science curriculum, and I was truly impressed with the pride and enthusiasm the students showed while demonstrating their coding projects. The Senate recently passed two important measures to ensure all Pennsylvanians can participate in free and fair elections. Senate Bill 263 would ensure voters who have a permanent disability can continue to receive an absentee ballot without having to submit a written statement every four years asserting that they remain disabled and continue to qualify for permanent absentee voter status. Senate Bill 762 would require the Auditor General to study the Statewide Uniform Registry of Electors (SURE) to ensure voter registration records are maintained properly. The bill would help ensure voter registration records are accurate in order to safeguard the integrity of Pennsylvania elections. 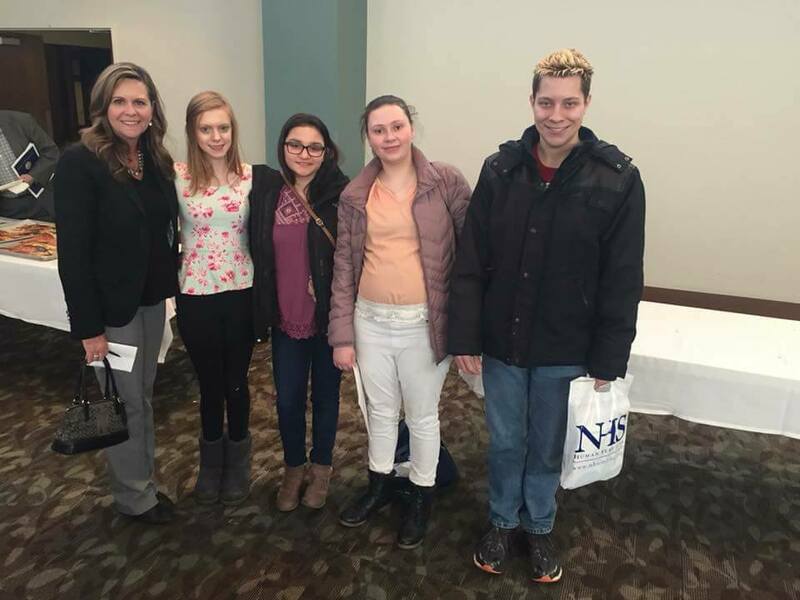 I appreciated the chance to serve as a panelist at Representative Dan Miller’s annual Disability Summit, which allowed me to engage in discussion with parents, students, support providers and other professionals on how we can work to increase independence and opportunity for every disabled person. Pennsylvanians who are not yet registered to vote or have moved since the last election have less than two weeks to complete a voter registration form in order to vote in the May 15 primary election. The deadline to register in advance of the 2018 primary election is April 16. Registration forms and additional information are available online at www.pavoterservices.pa.gov. Local transportation officials and organizations are in the process of developing a plan for the future of public transportation in Washington County. The plan will focus on improving service to attract new riders and meet the needs of community residents who use transit to live, work, learn, or play in Washington County. Hearing from the public is an important step to creating solutions that address the needs of residents. Public meetings were completed on March 28, but there is still time to provide input through the online survey open through April 20. The interactive online survey is available online at www.WashingtonTDP.metroquest.com. The survey takes about 10 minutes to complete. 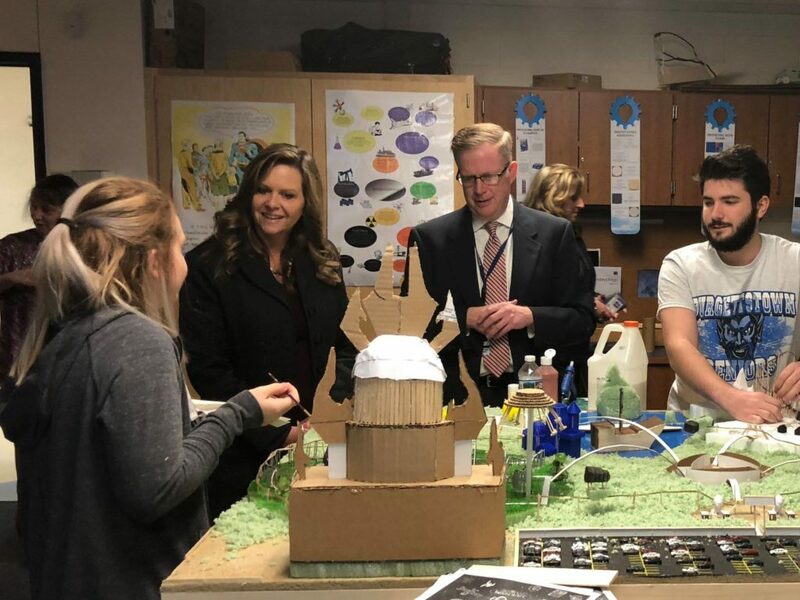 I was extremely impressed by the students at Burgettstown Area High School who were preparing submissions for the Inventionland Competition. I also had a great conversation with the students of Mr. Druga’s Contemporary Issues class. The future is bright for our region! Two local rail freight improvement projects have been awarded grants through the Rail Transportation Assistance Program and the Rail Freight Assistance Program. A $3.8 million grant will aid in the construction of 10 miles of track from Aliquippa to Monaca to transport construction materials for Shell’s cracker plant and to transport outbound product from the completed plant. A $2.3 million grant will help rehabilitate 18 railroad bridges on Wheeling & Lake Erie Railway Company’s Pittsburgh and Rook Subdivisions. A total of 27 projects totaling approximately $32 million were authorized in the current round of funding.